Anybody have this 'cold air intake kit' on their H3? Thread: Anybody have this 'cold air intake kit' on their H3? Given the fact that there is no shield to block engine bay air from being sucked into the intake, its no longer a Cold air intake. 06 H3, Birch White, Lux , Cooper AT3 35s, Borla Performance Cat-back, Bilsteins front w/ 1/2" extended stops, Hunner sleeve, Air Doc w/ K&N filter, Oem Roof lights, 55W HID Headlights and 35W Fog lights. Link is not working for me. Anyways Your H3 already has a decent ‘cold air intake’ because it draws in air from the fender to a closed air filter box. You would gain nothing and maybe lose performance (and I don’t strictly mean HP either). Change your filter type, eliminate the air box, stuff like that may net you a better sound, tiny bumps in power, etc. If you really want to change your air intake look at the Air Doc stuff in the vendor section. 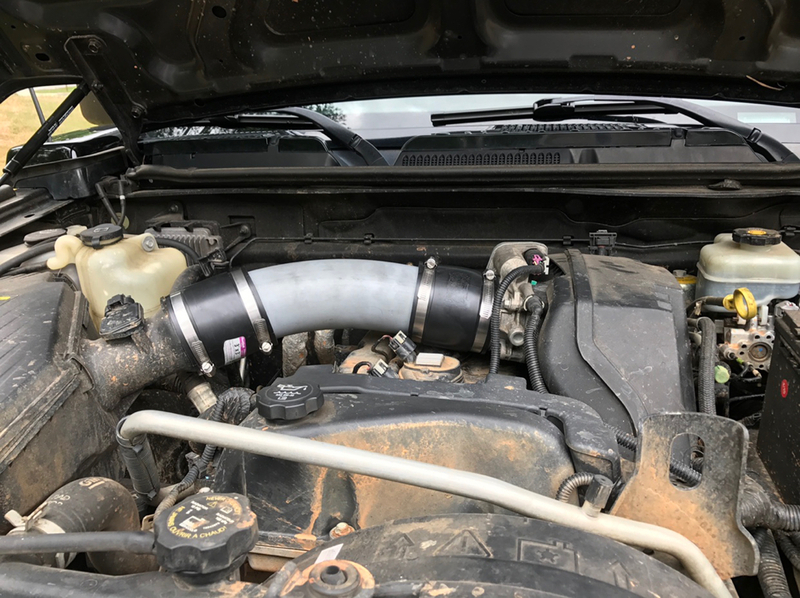 I made my own resonator delete / Air Doc style intake from some Home Depot parts. How different is the engine sound? I did like Lowtrac did and it works pretty good. I really didn’t notice a difference. Maybe slightly louder but there are so many other things that make noise on this thing that it’s hard to tell. Home made cold air intake for the Alpha! WTS -K&N Cold air intake 57-3043 FIPK and filter wrap.